Reports indicate that Islamic State fighters are taking up positions around the Grand al-Nuri Mosque — from where ISIS leader Abu Bakr al-Baghdadi declared a caliphate across the Middle East in July 2014 — in what may be their last stand in Iraq’s second city Mosul. In the eighth month of an offensive, Iraqi forces and their allies are closing on the final ISIS-held districts west of the Euphrates River. I spoke with Monocle 24’s The Briefing on Friday about the current situation and the greater challenges to come for Mosul and Iraq. The discussion considers how ISIS will re-define itself after it loses its major positions in Iraq and Syria, the difficulties of the Mosul offensive, and the quest for political legitimacy by both the Iraqi Government and countries involved in the anti-ISIS campaign. The Islamic State did not suddenly take over Iraqi cities simply because they overwhelmed and conquered everyone. There were a lot of issues — economic, social, political — that brought into question the legitimacy of the Iraqi Government. 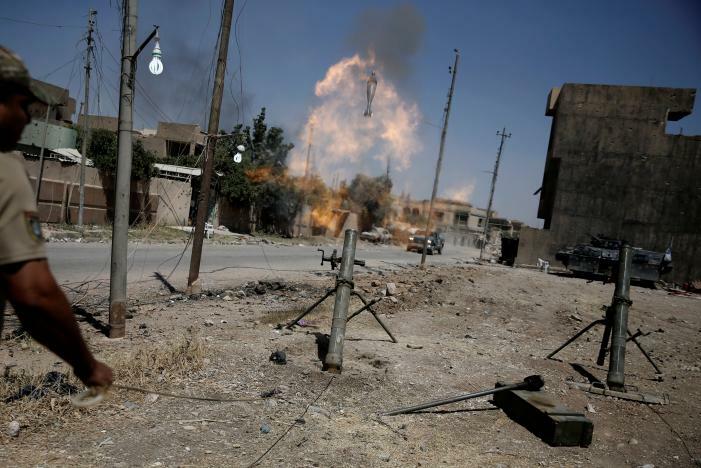 If the Islamic State is removed from Mosul, that government will be put to the test again. Can it deal with claims of corruption? Can it deal with the long-standing claims of discrimination against the Sunni population? We are only in the prelude to a much longer battle, away from the battlefield. NextIran Daily: Tehran Promises More Oil Output — But How?